Join the Vegan Challenge in April! In April, the Vegan Challenge will start again. 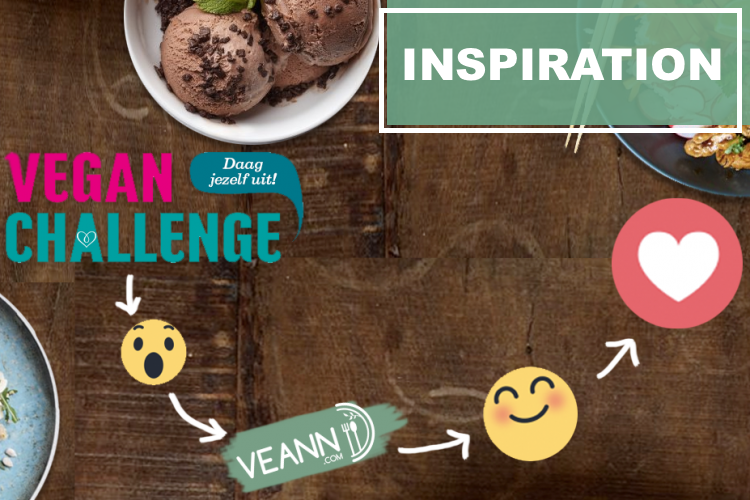 The Vegan Challenge is a month-long challenge in the Netherlands, to which people can subscribe, and they will get a lot of recipes, inspiration and support through newsletters, social media and the website platform. VEANN totally supports the Vegan Challenge! Are you ready to challenge yourself, and help our planet? Then you should subscribe – and check out our recipes as well for more inspiration.